The Library of Congress has announced the 25 movies being added to the National Film Registry for 2017. The list this year is all over the place, which includes movies dating back to the early 1900s and modern classics. 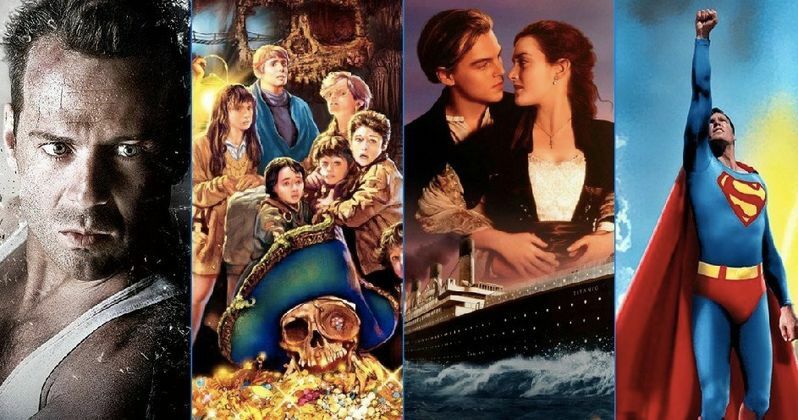 Movies like Die Hard, The Goonies, Titanic and Superman have all been selected this year and are considered worthy of preserving under the National Film Preservation Act. Yes, John McClane taking out terrorists at Nakatomi Plaza is worthy of being preserved by the government now. Under the National Film Preservation Act, the Librarian of Congress names 25 movies to the National Film Registry every year. These movies are said to be "culturally, historically or aesthetically" significant. Beyond that, the only other requirement is that the movies must be at least 10 years old. Here's what Librarian of Congress Carla Hayden had to say about 2017's additions to the National Film Registry. "The selection of a film to the National Film Registry recognizes its importance to American cinema and the nation's cultural and historical heritage. Our love affair with motion pictures is a testament to their enduring power to enlighten, inspire and inform us as individuals and a nation as a whole. Being tasked with selecting only 25 each year is daunting because there are so many great films deserving of this honor." The oldest movie added to the list this year is Interior New York Subway, 14th Street to 42nd Street from 1905. One has to imagine that falls into the culturally significant side of things. The newest movie on the list is Christopher Nolan's inventive thriller, Memento, which was released in 2000. Legendary director Richard Donner should feel rather proud, as two of his movies,The Goonies and Superman, both were added to the National Film Registry this year. Here's what Donner had to say about it. "I thank the National Film Registry for choosing 'Superman: The Movie' and 'The Goonies' as films to be treasured. They are both special films in my life, as was the cast and crew for both. It's wonderful to see them listed among so many great films." Disney's 1941 Dumbo, a beloved classic, and The Sinking Of The Lusitania, a 1918 propaganda short, quite far on the other end of the spectrum, were the animated selections added to the National Film Registry this year. With this year's selections added in, the Library of Congress now has 725 movies included in the registry in total. You can check out the full list of the 25 movies added to the National Film Registry, in alphabetical order, courtesy of The Library of Congress, for yourself below.